The function of the oil seal is to stop whatever fluid is inside from leaking out the clearance between the shaft and housing. The seal may also be used to prevent outside materials, such as dirt, from moving in through the clearance. Riding on profound volumes of business expertise, we are involved in providing an outstanding quality of Automotive Oil Seal to the prestigious clients. 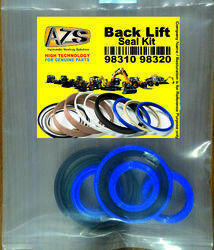 We are offering Automotive Oil Seals to our clients. We are leading manufacturers of Oil Seals. We provide Two wheeler Oil Seals in a very competitive price. Contact for good quality and quantity Product. Banking on years of understanding of this domain, we provide the first class quality of Automotive Oil Seals. The best grade materials are used for manufacturing of these products. 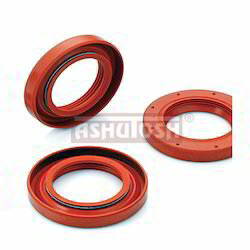 Being an eminent organization in the industry, we are involved in providing a premium quality range of Oil Seal. We are the leading manufacturer of a wide range of Automotive Sleeve Seal for our customers. These prove to be extremely cost effective, especially for basic applications. We are dealing in the bulk quantity more than 100 peices.